I kept putting it off, until I could put it off no longer lol 6 months or so later, I finally went and got my roots “touched up”. I was actually more diligent about it, back when I was younger. Now that I’m older, it’s not really that high on my list of priorities lol However, enough was enough. As you can see, my hair looked horrible (the brassiness wasn’t doing me any favors either) so I decided to just get on with it. From a different angle, so you could see that I wasn’t exaggerating lol It was baaad! 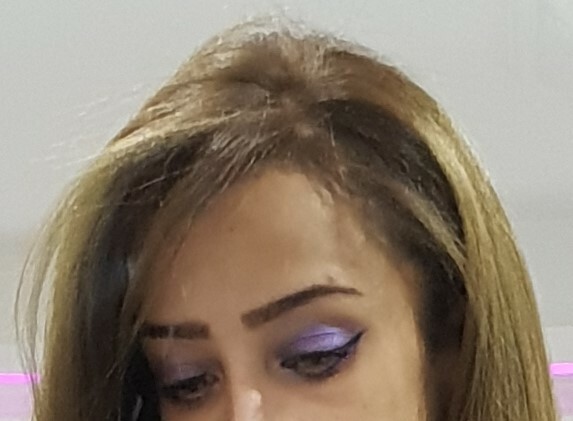 Even the ends were way too light and therefore annoying! Ta-da! The finished result! 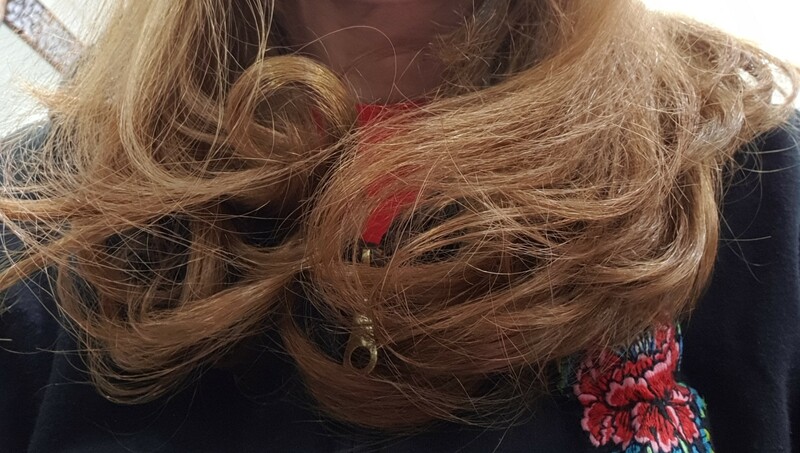 I didn’t pay to get it properly straightened because the weather was iffy (the rain would make it frizz and curl) so the hairstylist sorta’ ran a brush through it while she haphazardly blow-dried it. It meant my ends didn’t look that nice (as you’ll see below), but it also meant I got a ton of volume (just the way I like it)! I got it done at a different salon and surprise surprise, it didn’t cost an arm and a leg! More importantly, I was pretty happy with my hair now! Thanks for the heads up! Glad you got the the haircut you wanted! … but you’re saying it they’re just ok? So not worth another visit or…? Would you recommend them or nah? first of all, you look gorgeous even if I didn’t see the rest of your face. Lol yes.. You picked up on that ‘ok’ verdict i gave them. Honestly, this is how i see it. 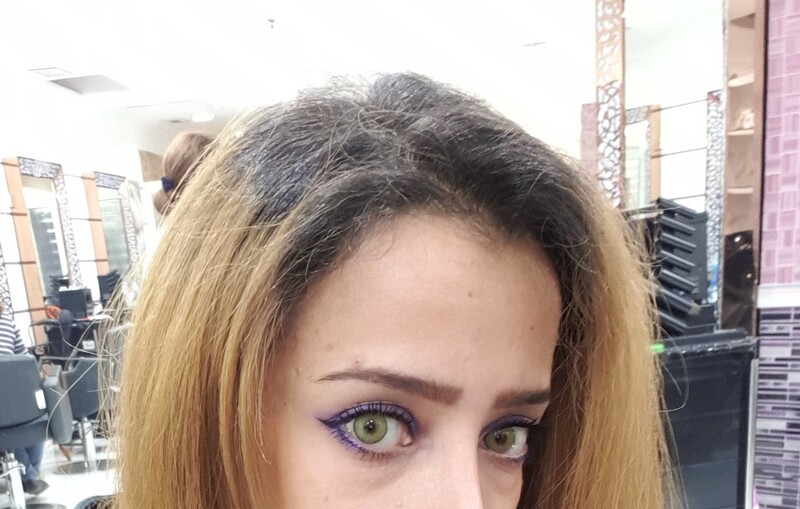 I mainly choose to go to good hair places mainly coz i think the staff is well trained and they know what they are doing. 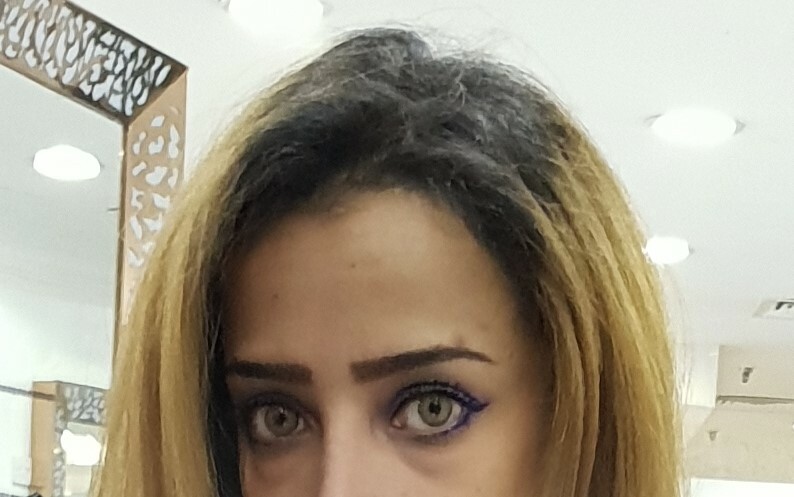 I do have some ideas in my mind but i don’t know if it suits my face and my hair type and this is where i need them to step in. I don’t want them to just blindly do as i say coz i could be wrong too. With the particular stylist i didn’t get that. She def did the best she could given our language barrier. I wanted to get a textured lob but it just landed up to be a one length lob. The reason i did not want one length is mainly coz i am blessed with thick hair and i don’t want so much concentration at the end. But yeah i don’t see myself going back anytime soon. Lucky for me, i am going on a vacation soon, so i am keen to get my hair done with my sister’s hairstylist. Rei, you’re too sweet! ♥ I feel all awkward when I get complimented lol but thank you! Don’t miss the blonde too much, the upkeep is annoying as you’re already aware (notice how I’ve only gotten it “touched up” 6 months later and still complaining about maintenance lol) Missed you, lil mama! Sonia, I hear ya’! Nothing beats knowing that you’re in good hands (peace of mind) which unfortunately in Kuwait, is kinda’ rare lol. Oooh vacation! Sweet! If I remember correctly, Australia, yeah? Ok, look, I know it has a dumb name, but you NEED to get your hands on the Sol De Janeiro Bum Bum Cream while you’re there! Why? Ever hear of living vicariously through other people? Apparently, I shop vicariously now lol Do it for me! If you love it, let me know. If you’re indifferent or hate it, then I had nothing to do with this :P For real though, have a safe trip and enjoy! Am so glad you get me. My sisters say that i am a fuss pot coz i over think too much. Honestly that’s just who i am.. lol. Yup, you are right.. Heading to Aus this time. Oh yeah, i have heard a lot about that cream as well.. Ascia loves it too. Have ya tried it? I will def take you up on that and get one and let ya know either ways :) Thanks boo.. Do let me know if you would like for me to get something for ya. Thanks boo!! I hope so too! :) Will keep ya posted.